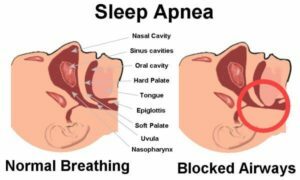 It might not seem intuitively obvious, but if you have trouble breathing when you sleep (known as OSA or obstructive sleep apnea), it may not be just the you who think you are who is suffering. Increasing evidence suggests that the trillions of bacteria that live inside you (or, perhaps, just as accurately, the trillions of bacteria that you live around) are also inextricably involved in your night-time gasps for breath. And the net result could be a whole range of diseases, from hypertension and obesity to cardiovascular disease. This area of research is relatively new. Indeed, the whole field of gut (as well as urinary and oral) bacteria (known as the microbiota or collectively as the microbiome) is something of an emerging journey into a vast and previously unknown world. I’ve covered quite a lot of issues regarding microbiota and other related factors already – depression 1 2 , multiple sclerosis 3 , physical activity 4 , fibromyalgia 5 , meat-eaters vs plant-eaters 6 7 , and overactive bladder 8 . But this short blog just aims to bring to your mind the possibility that the bacteria that call you their home don’t sleep when you do – or when you don’t! The following is a brief chronological review of some of the research in this area of sleep and microbiota. This is interesting because we already know that dietary changes are linked to changes in the gut microbiota. It’s therefore not such a leap to expect that the general quality of sleep (and that’s what this study deals with, rather than specifically OSA) is affected by the type and quantity of little guys working away in our guts. And the knock on effects for our health, in terms of the hormonal and inflammatory changes that our microbiota can cause, can be significant. A February 2016 study 10 considered how individuals who suffer from OSA are therefore at increased risk for systemic hypertension. They view the importance on the host physiology (you and me) of a healthy gut microbiota, and the detrimental effects of a dysbiotic microbiota, are becoming increasingly evident. They started from the hypothesis that gut dysbiosis contributes to the incidences of both hypertension and OSA existing in the same individuals. They used rats and inflated a tracheal balloon during their sleep cycle (not a nice thought if you’re a rat!). On a normal diet, the resulting OSA had no effect on blood pressure; however, in when the rats were fed a high-fat diet, their blood pressure increased significantly (24 and 29 mm Hg after 7 and 14 days of OSA). They then looked at the bacteria in the rats’ faecal pellets and found that high-fat diet and OSA led to significant alterations of the gut microbiota, including decreases in bacterial taxa known to produce the short chain fatty acid butyrate 11 . A really interesting step they then took was to transplant dysbiotic faecal contents from hypertensive OSA rats on high-fat diet into OSA recipient rats on normal diets. And the results? The recipient rats started to show similar levels of hypertension to that of the donors (increased 14 and 32 mm Hg after 7 and 14 days of OSA). This is the sort of science I love, although I can’t speak for the poor rats! A February 2017 study 12 , which is a little ‘off piste’ is still interesting. It was looking at the recently reported association between paediatric obstructive sleep apnea syndrome (OSAS) and Group A streptococcus (GAS) sub-acute chronic tonsil colonisation. This is relevant, as you would possibly know from previous blogs, because the bacteria that live with us are not confined to our intestines. They are everywhere – including the mouth, throat and, in relation to this study, specifically the tonsils. And their fundamentally important relationship with our health is becoming increasingly apparent – as can be seen from this particular study. They found an association between the slaA gene (in Streptococcus) and the GAS OSAS strains only in patients affected by OSAS, thus suggesting that this genotype might be associated to the pathogenesis of OSAS. A November 2017 study 13 looked at the possibility that the comorbidity of OSA and atheroscleriosis are linked to gut microbiota. The researchers started from the premise that there is an established link between OSA and cardiovascular morbidity and mortality (including myocardial infarction, stroke, and peripheral artery disease). The latter are seen as consequences of atherosclerosis, itself an inflammatory condition brought about by chronic intermittent hypoxia (IH) and sleep fragmentation (SF). 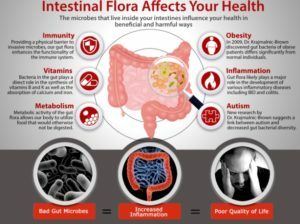 The researchers come to the conclusion that all the foregoing conditions are linked to our gut bacteria – a sort of feedback loop that, if untreated, may lead to unhealthy gut bacteria and unpleasant, even fatal, diseases operating together to the detriment of the host. Their findings are consistent with other studies 14 15 that reported potential benefits of continuous positive airway pressure treatment for cardiovascular disease in patients with OSA. Following on from the above study 12 which considered OSA in relation to streptococcus around the tonsils, a December 2017 study 16 also looked down the throats of OSA sufferers to see if there was any difference between the type of adenoidal microbiota from two groups of patients, one with recurrent acute otitis media (AOM) 17 and one with OSA. They concluded that the type of microbiota was different between the two groups. My assumption is that there would be differences between the adenoidal microbiota of both of the latter groups and those individuals who have neither condition. An updated review in June 2018 18 considers adenotonsillar microbiota and describes the new techniques applied in determining the nature of the microbiome and summarises the results of studies to date in this field. A March 2018 study 19 takes up the above-mentioned issue of feedback (termed “cross-talk” by the authors) between our bacteria and our bodies, where the health of one can affect the health of the other. Parallel to this, they point out that diseases previously attributed in part to lifestyle such as obesity, coronary heart disease, depression, and asthma are associated with OSA. Furthermore (to complete the circle) they emphasise that OSA is related to microbiota. The experiments they did were on mice fed a high-fat diet and exposed to intermittent hypoxia and hypercapnia (known together as IHH). The results of their experiments showed that there were “marked compositional changes in both microbial (>10%, most remarkably in Clostridia 23 ) and molecular (>22%) species in the gut. Moreover, molecules that altered in abundance included microbe-dependent bile acids, enterolignans 24 , and fatty acids, highlighting the impact of IHH on host-commensal organism cometabolism in the gut”. This was the first evidence that IHH messes with gut microbiota in a functional manner. The implication of this is that it starts to provide explanations for the comorbidity (diseases existing together) of OSA and various cardiovascular diseases. When you have a microbiota that’s impaired or out of balance (referred to as intestinal dysbiosis), the scene is set for the development of diseases, including cardiovascular and metabolic diseases, actually caused by OSA. The researchers point out that much more research is needed, but they seem pretty confident that there are as yet unrecognised mechanistic links between gut microbes and comorbidities of OSA. The foregoing seems to indicate that our bacteria appear inextricably connected to a wide range of medical conditions. How effective it might be in avoiding or treating such conditions by making changes to our diet is outside of the auspices of most of the studies covered above – although I suspect it will not be long before a wealth of research studies assess dietary influences on these and many more diseases. Whether they conclude that a plant-based diet is an essential component of any optimally healthy lifestyle is yet to be seen; but, for the time being, I’m taking no chances. 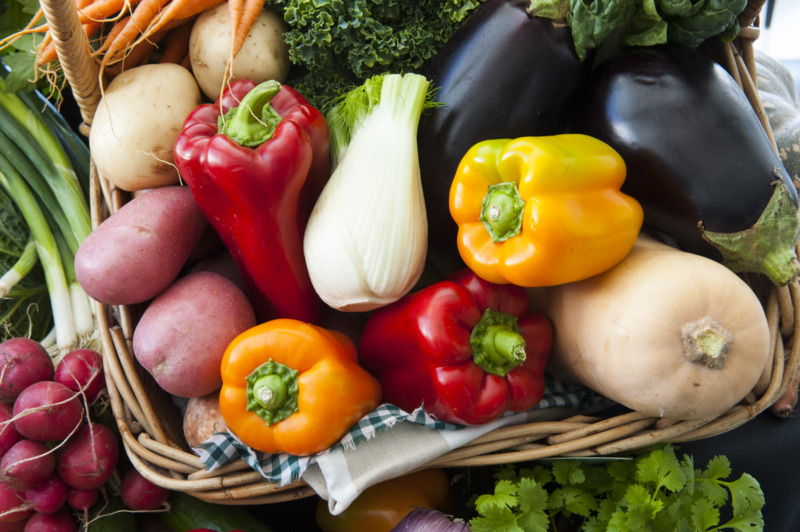 For me, there’s already ample evidence that the best way to help our good bacteria to help us to stay well, is to supply them with a varied diet of whole plant foods. Previous Previous post: How Innocent Do You Want To Be?